Triton Systems Inc. is one of the leading providers of off-premise ATM’s. Triton is moving forward to redefine by leading the retail industry for cash delivery systems, and ATM cash machines. For one of the most reliable, and hardest working ATM’s, check out Triton ATM. They build some of the better looking ATM’s on the market today. To a lot of their previous customers, nothing beats a Triton. 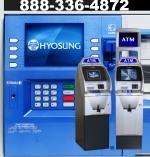 They design and build them from the ground up to be the most affordable ATM’s to operate over time. Plus Triton is setting new standards with standard and optional features, service after the sale, and ATM regulatory compliance checks. You won’t have to rearrange your ATM installation site to own a Triton. These cash machines take up little room and have the least amount of downtime of any ATM’s. But if something does go wrong, and probably won’t, you can contact their knowledgeable tech support staff to get you back up and running fast. Triton even makes sure all machines meet current as well as all proposed ADA regulations. Check out Triton’s line of outdoor weatherized walk up and drive up ATM models. FT5000: The walk up outdoor ATM from Triton. The Triton FT-5000 appeals to many potential owners because of the more traditional bank design.